Alfie Phillips Jr. had a tough act to follow. His father, Alf Sr., was an Olympian diver, a carnival showman and, despite taking up the game in his 40s, a provincial curling champion. In 1956, Ontario was poised to win the Brier for the first time since 1939, but Billy Walsh from Manitoba made what became one of the greatest shots in Brier history. Alfie joined up with his dad shortly after that loss, then later formed his own rink with John Ross, Ron "Moon" Manning and Keith Riley. In 1967 Alfie did one better than his father, winning the Brier in Hull, Quebec. The Phillips rink played a draw strategy that hadn't been seen before in Ontario, and one that left an impression on a another young member of the Parkway Curling Club, Paul Savage. We cover the big wins and losses and the battles over prize money and what it took to win over the Ontario Curling Association and their efforts to keep curling an "amateur" sport. Alfie shares the history of the Toronto Curling Mafia, tales of Hec Gervais, and gives us the definitive version of the famous bus story from the 1967 Scotch Cup in Perth, Scotland. For more on Alfie Phillips, check out "The Brier" by Bob Weeks. 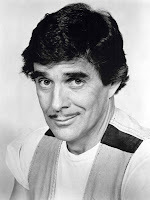 You can also read about his history with Conklin Shows. You can see the famous Billy Walsh shot against Alf Sr. at the 1956 Brier near the end of this video. YouTube also has video from Alfie's win at the 1967 Brier. Some interesting analysis in this month's digital edition of The Curling News. Terry Jones gave his odds for the event and, unless it's a typo it would appear Terry failed high school math. He has Jacobs (9 to 5) as the higher favorite over Gushue (5 to 2). These odds imply that Jacobs has a 35.71% chance of winning, while Gushue is 28.57%. I think those Brad's should be switched. Epping at 115-1 seems a tad high to me. Perhaps it is supposed to be 15-1. If not, I'll gladly drop $5 on the Toronto squad with Mr. Jones, if he'swilling to accept my wager. Looking at Terry's write-up on the womens, possibly another typo, he has Homan at 5-2 and Sweeting at 9-5. 9-2 would make more sense here (and with Jacobs). Flaxey at 5-1 could be too generous, and the numbers below will explain why. Reminder on the numbers. Before each Olympic Trials I breakdown the results of each team against each other team. I look at head to head wins and losses, scoring and then examine winning percentage for both historical (lifetime of the teams) and the last Olympic cycle (start of the 2014/15 Season). I then look at a Combined result, which more heavily weighs the last cycle while still accounting for historical results. Using Bill James log5 method and his Pythagorean expectation, I estimate the expected wins of each team. Unless otherwise stated, I use the Combined results in the calculation for Expected Wins (EW). Keep in mind these sample sizes for womens is much smaller than mens, as these teams don't compete as often over the course of a season. More variability in our prediction is the likely result. In the mens bracket, 5 skips also appeared in the 2013 Trials in Winnipeg (Koe, Mcewen, Epping, Jacobs and Morris) and a 6th was nearly there (Brad Gushue lost the final Pre-Trials spot that season). The womens draw this time around has only 4 skips from 2013 (Homan, Jones, Sweeting and Carey). It will be interesting to see how these Trials rookies will handle the pressure and nerves of the event. Some could falter, while others might embrace the moment, playing loose and making a deep run. Speaking of playing loose, how will local hero and reigning World Champion Rachel Homan handle this event? All eyes (including those of Curling Canada) are expecting a victory, and sometimes expectations can be difficult to carry on your shoulders. They handled the pressure well last year at the World Championships, I expect they can do the same next week. It might surprise you to know this squad is only 65% against this field since the start of the 2014/15 season. Englot (care of her Scotties performance) is 4-2 against Rachel, otherwise they hold a winning record against everyone. Sweeting has 7 wins against them to 10 losses, and Scheidegger 4-5 may also be a tough out. EW = 5.53. Teams Carey, McCarville and Englot all have a 44 to 45% winning percentage against this field the past 3.5 seasons. Granted, Englot (15-19) and McCarville's (10-12) sample sizes are smaller, so it's unclear if these are a good indicator of likely results. Other than Sweeting, Englot has shown she can take on the best teams (6-5 against Homan and Jones, 5-4 against Carey). Chelsea Carey is only 3-10 against Homan and jumps to 50% against the field if we remove those games. Scheidegger has only a 35% winning percentage against this field, but they've beaten Homan 4 times in 9 tries. Their all-time percentage is 40% and recently have taken lumps from Carey and Sweeting (3-11 combined). I'd expect one and likely two of these teams to exceed these EWs and possibly land in the play-offs (or at least a tie-breaker). Terry Jones had Team Flaxey at 5-1 odds. With only 20 wins all-time against 40 lossess, and 13-28 since the last Olympics, the numbers would suggest 2.83 wins and no playoff appearance. If you take out her 5-3 record against Tippin, Flaxey's winning percentage drops to 29%! Two wins against Homan and Jones each means they can hang with anyone here, but their point differential vs this field of -1.77 per game is the worst of any team. Homan, for example, is +1.43/game and Jones is +1.11, while all other teams are in the red. While we're talking point differential...in the mens (since I missed it in Part 1), Koe, McEwen, Jacobs and Carruthers are in the black, while Gushue is at -0.04 pts/game. These are all-time numbers and I suspect a positive number for Gushue if we looked at the last 3+ years. Womens games are actually a full 1.07 pts scored (total) more per game than the mens. Scheidegger at 10.65 pts/game is the lowest womens while Morris at 10.61 pts/game is the highest mens team. I didn't have the time (or interest) to adjust for 8 vs 10 end games, so some skewing in the numbers (higher percentage of womens games are Scotties vs Brier in mens). And finally....Team Tippin has very few games against this field. They sit 9-16 all-time and 5-8 during this last Olympic cycle. They have yet to face Sweeting and only a single loss against Scheidegger, but at least one win against every other team (including Homan and Jones) should give them some hope, right? The 2017/18 Curling season, stretching for some teams into a 10 month marathon, may go down in the sport's history as a turning point. Please indulge me as I open this 2017 Canada Olympic Trials Preview with a melancholy look back at what was the traditional Scotties and Brier format. The determination of Canada's National Curling champions has long been associated with these showcases, but for the past two decades a new event, held every four years, has challenged the legitimacy of these historic championships. Even the past curator of these events and the man who brought the Brier into NHL arenas, Warren Hansen, thinks the idea of a provincial competition is past its expiration date. Granted, with relegation the last three years, we've been warmed up for a possible shift in thinking what a Brier and Scotties is supposed to mean. Just ask Nova Scotia fans who had short trips to the 2015 and 2016 Briers, failing to get through the Pre-Qualifying both years. This season the Scotties and Brier will implement a dual-Pool format, ensuring that not every province will play against each other during the event (and some may play tie-breakers after 2:00 AM). This could have little bearing on whether fans enjoy the unfolding of these competitions. With an added CTRS team, it may even lead some to believe there is greater legitimacy in its determining the national champions. But to me it will not be the same events I grew up with. To those who knew the Brier as a no-playoff, round-robin-winner takes the trophy event, they may have also felt that "progress" was moving past them when a 3 team playoff format was introduced, or the eventual page system. The forming of 2 pools could just be more minor changes to events that remain atop the Curling world, or become the beginning of a decline to lower tier titles. Only history will be able to tell us what the Trials vs Canada Cup vs Brier/Scotties all means. Thus far, Kevin Koe has no asterisk next to his name on the MacDonald's trophy for his wins in 2010 and 2014, when another "National" champion was sent to the Olympics. Perhaps one day there will be. First, a crash course in the numbers. Before each Olympic Trials I breakdown the results of each team against each other team. I look at head to head wins and losses, scoring and then examine winning percentage for both historical (lifetime of the teams) and the last Olympic cycle (start of the 2014/15 Season). I then look at a Combined result, which more heavily weighs the last cycle while still accounting for historical results. Using Bill James log5 method and his Pythagorean expectation, I estimate the expected wins of each team. Unless otherwise stated, I use the Combined results in the calculation for Expected Wins (EW). For those gamblers out there, the points per game and Over/Under results may also be of interest. I haven't seen any web sites with betting odds for the event so I'll hold off sharing for now, but will release a Gambler's version if this changes and odds are posted. In my recent interview on the From The Hack Podcast, host Frank Roch suggested there was a big four. The numbers might suggest there are at least 5 and possibly 7. Despite this, as in years past I will attempt to break apart teams into four categories. Favourites, Contenders, Challengers and Underdogs. It should not be a surprise if any of the top 7 teams win. It would surprise me if a team went undefeated. Using Combined numbers, no mens team has an Expected Wins (EW) prediction greater than 5. Brad Gushue is defending Brier Champion and his squad has started the season with a 32-5 record (.865 winning percentage). They have a 65.5% winning percentage against this field during this Olympic cycle and that number feels higher the last 12 months. EW is 4.78 using the Combined results, but they are 5.45 based on the last 3+ years, highest of any team. They hold a winning record against every other team over that span as well, including 13-6 against Jacobs. Speaking of Brad Jacobs, his team seems to perform better on the bigger stage. They're the rock band that plays great in a large arena but their act doesn't always translate to the smaller venues. EW is 4.94, but they also have the poor record against Gushue recently (6-13), losing record against Mcewen (9-13) and are 11-10 against Koe (including Brier losses in the finals and 3 vs 4 game). They are also the only mens team at this event that can "repeat" as Olympic representatives. Team McEwen has been together a long time with a winning record against each of these teams (except the aforementioned Carruthers). Percentage of 55% since 2014/15 and EW=4.77. The numbers indicate that Mcewen could be in the higher group but they still haven't shown their dominant cash circuit play translates into the large arenas (the opposite of Jacobs). It's unfair perhaps because of their small sample size of only 2 Briers and 1 Olympic Trials. If this team were based in Newfoundland or Northern Ontario these past few years it could be a different conversation, but they still have yet to appear in a final at one of these events. You could also claim Koe belongs alongside the two Brads, and I tend to think they should be, but the numbers indicate otherwise. As the elder statemen (with Howard losing in the Pre-Trials to Bottcher), it will be interesting to see if this team can find its prime level again or if father time is starting to take its toll. Team Morris hopes to once again have the hot play from their Pre-Trials qualification continue into the Main Event. Outside of that event however, they've played poorly on arena ice with a 1-11 record in the first 3 Slams of the season. EW = 3.86 and their record is a smaller sample of 26-31 (46%) since their last Olympic Trials appearance. John Epping has shown periods of invincibility over several weeks of any given season. It's fair to say that despite their 40% results against this field, when they are hot, watch out. Other than a combined 7-23 against the two Brad's, the are respectable against the remaining teams and could be in the hunt by week's end. Team Laycock has been dominated by Gushue, Jacobs and Mcewen, and only has 1 QF Slam appearance so far this season. EW = 2.79 and they have won only 33% of their games against this field, but we've seen them excel at a few Slams and they have a fighting chance in Ottawa. Bottcher was the last team to qualify and will have to bring some of the experience gained at those Pre-Trials and last year's Brier if they have hope for a play-off spot. I suspect this event is a little more than their ready for, but you could have said the same thing about Brad Gushue in 2006. EW = 2.68 and like Laycock, 33% against these opponents. Part 2 and a look at the womens teams coming soon. That was weird. Curling Canada decided to change the format for the Olympic Pre-Trials (AKA, Road to the Roar). In 2009 and 2013, a triple knockout format determined the qualifying teams. 2009 included eight qualifiers (and plenty of TV coverage), and in its last iteration, the triple knockout led to a page style playoff with 8 teams vying for 4 spots. Everything seemed to work nicely. This past week, fourteen teams of each gender (28 total) were placed into four pools of seven teams for round robin play. Each team played 6 games within its pool and the top 3 in each pool (12 total) qualified for a playoff. Including tie-breakers, the actual "playoff" became 10 of 14 womens teams and 9 of 14 mens teams. That means after 72 round robin games had been played, only 9 of 28 (32%) of teams had been eliminated! This makes the generous playoff formats of the NBA and NHL look quite stingy in comparison. I could understand the interest to have all of these round robin games for a television audience, but no games were broadcast until the weekend. In the end, Team Howard went 8-2 and fell short while Team Bottcher at 5-4 is heading to Ottawa in December. This isn't anything new. A round robin format with play-offs can always lead to a team with several losses taking victory from an undefeated team. For example, in the famous 1985 Brier, Pat Ryan was undefeated, but lost the final to Al Hackner (7-4) and could have instead lost to one of several playoff teams with a 6-5 record. For those opposed to this strange method of competition, you might want to learn to embrace the insanity. With the Scotties and Brier moving to smaller pools, the chances of multiple tie-breakers, extended play-offs, and upset victories will only increase. If you are only going to televise a handful of games, perhaps the first men's qualifier could take place when I'm awake? Team Morris is (mostly) from BC and their fans had to be up at 5:00 AM to watch their Mens #1 Qualifier game on Sunday morning. After his loss, Bottcher didn't suit up again until 3:30 Pacific Time. Team Morris' second Catlin Schneider had a great Movember "Schneider" mustache. I wonder if he's even familiar with the famous TV character from One Day at a Time. Jim Cotter's rock clearing runback in the 9th end of that early morning may have been the shot of the game. Bottcher looked in good shape to force but the triple by Jim sent them into the 10th end tied with hammer. Not sure I agree with Howard's call in the 9th end. Ahead 5-4 without hammer,. and it's third Adam Spencer's last shot of the end. 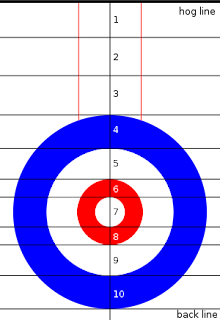 The set-up provides an opportunity to draw around 2 rocks on the centre line and attempt to force Bottcher to a single. I understand a nose-to-nose runback would be great, and perhaps create a safer result, but they are not likely to make it perfect. In this case, the runback was missed completely and Bottcher was able to score two points and take the one point lead into the final end, without much difficulty. I might have prefered to keep the centre guard in play in this situation and create a greater chance for a force (or even steal) even if you increase the chance of a deuce. Even if you're adding a small chance at a three ender, it may still have been worth the risk. Look for more Curling Legends Podcasts this season and my upcoming preview to the Olympic Trials, with betting tips and odds for each team. Arnold Asham is a curler, dancer, inventor, showman and in his words, an opportunist. From his early days in Reedy Creek, Manitoba, Arnold dreamed he would be a millionaire in the sports industry. Curling became his passion and eventually the red brick slider, along with hard work and dedication to what to others deemed a foolish pursuit, led to his financial success. But there was also a passion to compete against the great teams that wore his corporate logo. When he teamed up with a young David Nedohin to compete on a fledgling World Tour that he helped keep afloat, Arnold proved he could do battle with the best in the country. Arnold shares his vision for how the Olympic champions of the future will be developed, and his philosophy of living your passions, which for him include the Asham Stompers dance troupe and helping empower others in the aboriginal community. Wally Ursuliak has had quite a life. From Brier Champion with Hector Gervais, to corn broom salesman, camp instructor, then curling missionary in Japan to selling granite from Ailsa Craig, all while running an amusement ride business across Alberta. We'll cover Wally's introduction to curling, and his relationship with Hector, Ray, Don and Herb Olson. He shares stories of the big games and many characters of that era, before explaining why he left the competitive game to become a builder. Wally explains why he, Ray and Don taught the flat foot (and not the tuck slide), and who created the no lift delivery that is prevalent today. We'll find out how Japan started curling outdoors and you'll learn more about curling rocks than you possibly wanted to know. Hello again. Trust you had a math free summer. Plenty coming up this curling season, including another edition of Canada's Olympic Trials. I will be there the whole week and can only hope that CCA Curling Canada has lost the licensing rights to Katy Perry's "Roar". (If you've been to one of these events you might still have nightmares as they play it constantly between draws). Curling Legends Podcast is back with weekly episodes starting around the end of October. 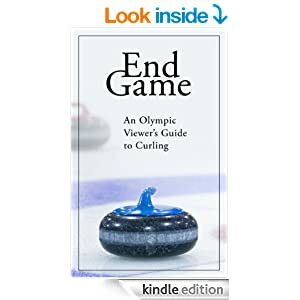 I was hoping to finish an update to my e-book "End Game" ahead of the Olympics, including a print version, but that may have to wait another 4 years. 7th End, Tied 5-5, Hasselborg with hammer. Val makes a strange decision on her last shot of the end. 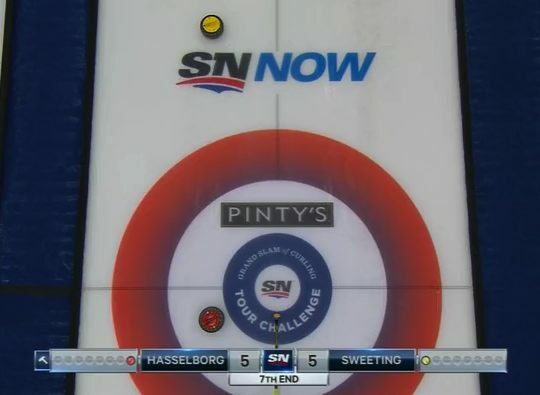 After Anna hits and rolls out, Kevin Martin immediately comments that this will leave a freeze for Sweeting, allowing her to force Hasselborg to a single point. Val is heard saying she doesn't know the path for the draw, so they instead choose to remove the Hasselborg stone and leave Anna with a blank. Very surprising decision that I can only assume meant she had very little confidence to make the freeze. I'll refrain from asking the perhaps obvious questions, like "why didn't they know the draw path in the 7th end?" and "if these conditions are too difficult to ice the broom in the 7th end, how would these players read ice in the 1970's?". If you're a regular reader of CWM, you might suspect that this is a questionable call (if conditions are ideal). A blank leaves Val a 30% chance (on average) and 41% chance if she can hold Anna to a single. If you're wondering where to find these numbers, Curlingzone has a new web page on their new and improved website where you can look this up. It's fair to say Hasselborg is a better than average team at closing out tied games with hammer. (She's actually 23-7 or 76.7% since 2014). So let's say Val's chances drop to 25% to steal a win in the last end. On her first skip stone in the final end, Hasselborg chooses to draw around two Sweeting stones, rather than peel (or double peel). Val does a decent job of hiding her poker face, but it's certain she's thrilled by Anna's decision. This situation occurs often in final ends of tied games and though we don't have imperial data to justify a decision to peel or draw, a skip may want to consider what their opponent wants them to do...and then do the opposite. Anna came deep, then Val actually slipped a little too far as well, but the final stone by Hasselborg was even heavier and left Sweeting with a steal and the win.